Use the toilet in a safe and controlled manner with a heavy duty commode chair with pan. 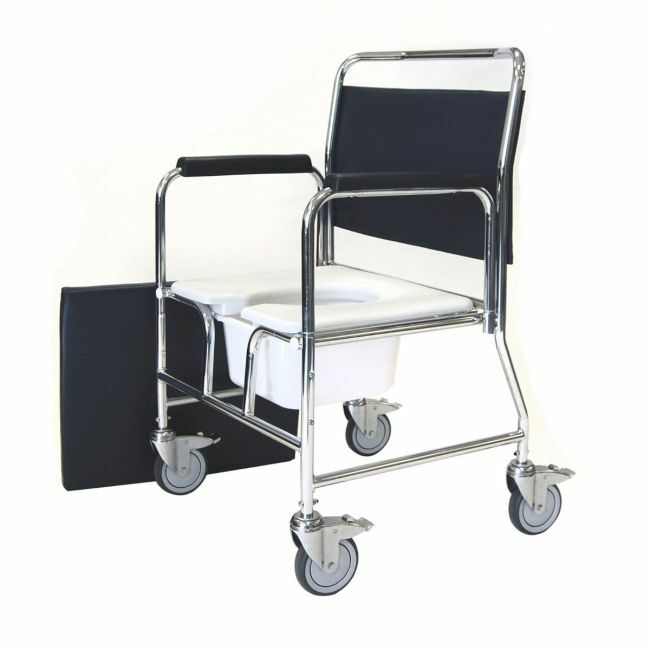 The heavy duty bariatric mobile commode chair is an attendant controlled toileting aid ideal for the home, residential or hospital environments. Made with a strong, robust frame the commode is as comfortable as it is durable.